Construct your package! Spend $2500 and get a FREE SAFETYPRO! This deal has expired! Call 877-762-9280 for the most current deals. Create your custom package deal and save! order today for maximum savings! 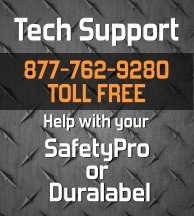 Your free SafetyPro will appear in your cart automatically! Order today and save more! What are you waiting for, save more today! Now you can build your own custom package, and get deep discount package pricing! 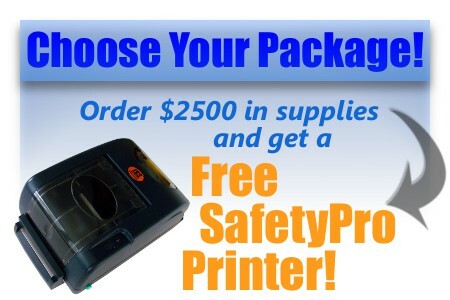 Getting the SafetyPro FREE with your order is like saving $750 dollars! Click the button above to activate the deal! Don't want to build your own? Our pre-made packages offer you more choices than ever! View our pre-made packages online and see which one fits your needs best! We have packages for everything from pipe labeling to 5s. If you don't find what you're looking for, come back here and build a custom package, or call us at 877-762-9280 for additional options!